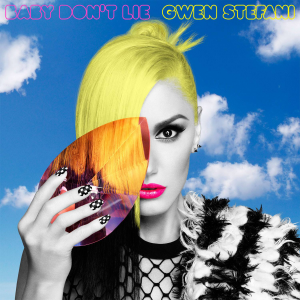 The comeback single, Baby Don’t Lie was due to officially air on Sunday night, however has leaked early and its different once again for Gwen. Instead of a totally assertive style that we have seen from Gwen in the likes of Hollaback Girl, the new track, also produced by Pharrell, is a mid tempo pop gem, perfect for main stream radio. Written by Gwen Stefani, Noel Zancanella, Benny Blanco and Ryan Tedder, it brings together many different vibes, which make it sound a bit RiRi, bit Coldplay, even a bit Shakira however 100% Stefani, if that makes sense. We had to listen to the track as few times, so it’s certainly a grower, however its such a exciting and welcome return to Gwen, whose third studio album is expected early next year. Grab a listen to the new track below and let us know your thoughts..!